A special roadshow offering businesses expert advice on successful exporting is heading to a new Shropshire business show later this month. The Department for International Trade’s Export Hub truck will roll into Shrewsbury for the inaugural Business Growth and Export Show on November 23. 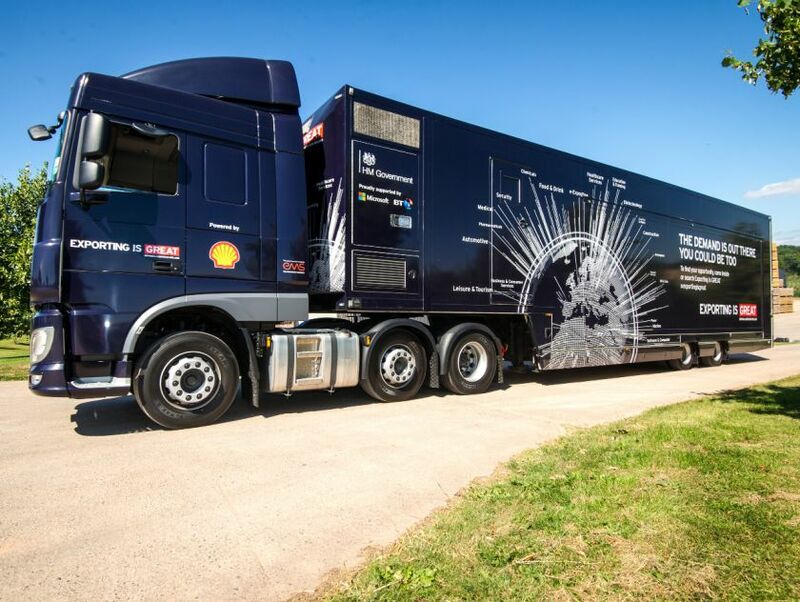 The hub – a special truck equipped with a travelling trade show – aims to help businesses looking to expand their export markets or make their first steps into international trade. Open to visitors from 9.30am to 2.30pm, it features live real-time export opportunities for businesses, searchable through an interactive display. Visitors will need to book if they wish to attend a dedicated session with experts from the Shropshire and Telford International Trade teams from 10.15am to 11.30am. The session will also feature a local business sharing their success stories of taking their business overseas and advice about the European grant funding available to support export growth. The free show at Shrewsbury Town FC, for businesses looking to expand both in the UK and overseas, is being staged by the Marches Growth Hub, the one-stop-shop for business support in Herefordshire, Shropshire and Telford & Wrekin. It will mark the start of the hub’s major Get Exporting campaign and will include networking, an expo and buffet lunch with guest speaker Jo Fairley – co-founder of £75 million-a-year chocolate retailer Green and Black’s. Paul Hinkins, chairman of the Marches Growth Hub and vice-chairman of the Marches LEP, said the Export Hub would be a major attraction at the show. “The Department for International Trade and its travelling Export Hub offer unrivalled advice to small businesses about getting involved in overseas markets and developing a wider marketplace for some of the fantastic products and services we have to offer in here in the Marches. The show will include exhibitions from organisations involved in supporting businesses to grow and trade internationally. Experts from the Marches Growth Hub will also be on hand to offer unrivalled advice on all aspects of business and export growth and highlight the huge range of local and national support available to help businesses expand. The event, which is also being supported by Shropshire Chamber of Commerce and the Federation of Small Businesses, gets under way at 10am, with Jo Fairley due to speak at 1pm.